While it may seem that his path was already charted from birth being the son of veteran actors, Kurt Russell and Goldie Hawn, Wyatt Russell was introuced to a different field, athletics, as a child. That became his life, his mainstay and his job for the most part of his life until an injury interferred. He is now an actor and is equally blazing the trail like he did on the rinks. He is known for his works on 22 Jump Street (2014), Cold in July (2014), Everybody Wants Some!! (2016). Follow us as we unravel some facts about Russell. The former hockey player was born a Hollywood star kid on the 10th day of July 1986 in Los Angeles, California. He was named Wyatt Hawn Russell by his parents who had been in famous marriages before their eventual pairing. Wyatt as a result has three older half-siblings who are all famous in their own rights. His prominent clan include actors Oliver and Kate Hudson who are his half-siblings from his mother’s previous marriage to actor and musician Bill Hudson. Boston Russell is his half-brother from his father’s first marriage to actress and singer Season Hubley. Unlike his famous siblings, Boston is very much out of the limelight and enjoys a reclusive life. His parents have remained in a romantic relationship since 1983 but have never been married. Additionally, his grandfather, Bing Russell was also an actor. 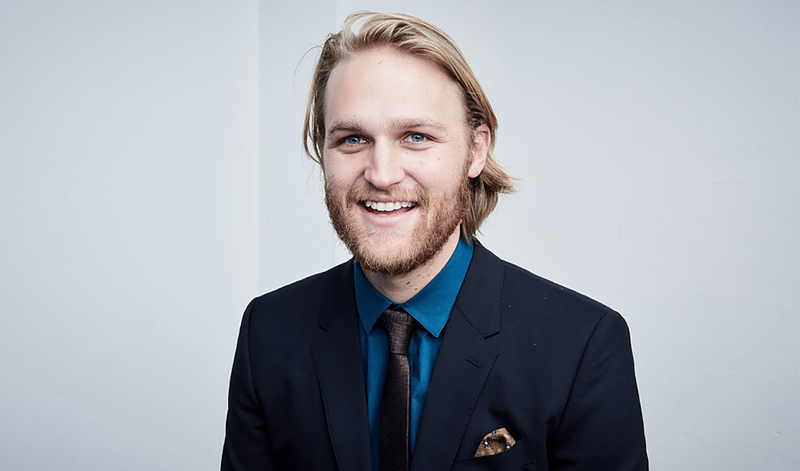 Wyatt Russell is of mixed ancestry including Hungarian Jewish (from his maternal grandmother), German, English, Scottish, and Irish. Although he was born into a life of fame and glamor being born to entertainers, he never knew what his parents did as they never talked about it until he was 10. With that, acting was never in the map for him though he played unscripted movies with his brothers as a child. He also appeared in minor roles with his father in 1996 film Escape from L.A. and Soldier (1998). As a preschooler, his father took him to an outdoor hockey rink while they were in Toronto and that became a deciding event in his life. He spent most of his free time in skating rinks, away from the studios of Tinseltown subsequently joining a hockey league. Wyatt Russell played for numerous amateur and pro hockey teams as a goalie including the Richmond Sockeyes, Langley Hornets, Coquitlam Express, Chicago Steel, Brampton Capitals, and Netherland based Groningen Grizzlies. He spent two years at the University of Alabama, Huntsville where he also played NCAA hockey for the Chargers hockey team. Following a series of groin pulls in college which was later discovered to be due to hip dysplasia, Russell cut short his career at the age of 24. He got immersed into the family business following the winding up of his hockey career. Just like he did with hockey, he embraced his new career with full force and within a short time, he fell in love with the craft and learned so much about it. He has appeared both on the small and big screens with TV credits including Arrested Development (2013), the web series The Walking Dead: The Oath (2013), the anthology series Black Mirror (2016) and Lodge 49 (2018). Russell appeared in films, such as Cowboys & Aliens (2011), This Is 40 (2012), Love and Honor (2013), and Goon: Last of the Enforcers (2017). He also appeared in the 2014 film 22 Jump Street alongside Channing Tatum and Ice Cube and in 2016, he starred in his breakout film Everybody Wants Some!! The same year, he co-starred in Folk Hero & Funny Guy, a film that premiered at the Tribeca Film Festival. In 2018, he played one of the leads in the World War II-set horror film Overlord and also starred in the biopic Blaze. He would feature in the upcoming 2019 film The Woman in the Window. Russell is gradually scaling the height of success in Tinseltown. His stunning success is also evident in his net worth which is estimated at $4 million. Wyatt Russell was previously married to stylist Sanne Hamers whom he met in the Netherlands and dated for four years. Their married was shortlived as it lasted from March 14, 2014 to March 2, 2015 when they separated with an eventual divorce in 2017. He is engaged to his Folk Hero & Funny Guy co-star, Meredith Hagner whom he met on set the film in 2016. The duo purchased a 1930s Spanish home in Sherman Oaks, California in April 2018. He stands 1 inch above 6 feet (1.85 m), three inches taller than his father. Wyatt was awarded a Rising Star Award in 2016 at the Maui Film Festival alongside fellow newcomer Kelly Rohrbach. Besides his first love, hockey and curent career, acting, Russell is also a musician. He played the guitar in the indie comedy Folk Hero & Funny Guy. Like his famous parents who met while filming Swing Shift in 1983, he found love on set. Ironically, he has the same career trajectory with his father who wanted to become a professional baseball player until injuries nipped his career leading him up to the acting path.